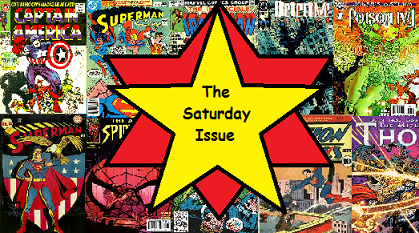 The Saturday Issue focuses on the more visual books read here at In Libris Veritas; ranging from graphic novels to manga to game companion guides. Thor battles on two fronts to save the Earth! Thor has always fought to save his adopted home of Earth. But who can he fight when the planet itself is dying? Thor’s ally, environmental secret agent Roz Solomon, has a few ideas…namely the world’s most nefarious energy company, Roxxon, and its ruthless new CEO known as “the Minotaur!” Has Thor finally met his match in the form of a multinational super-corporation? Meanwhile, many millennia from now, a future Thor faces a very different battle to save what remains of the earth – a battle against Galactus, the Devourer of Worlds! King Thor is all that stands between Old Galactus and the planet he’s been dying to eat for a very long time. But even if Thor wins, is the Earth still doomed? One thing I love about Thor is that no matter how arrogant he gets or stupid he is, he always has a love for Earth. He tries to protect it to the best of his ability, though sometimes the destruction is partly his fault, and no matter how much he does within the other realms he always returns to Midgard. It’s his weakness but he never lets that stop him. This last volume focuses on his love for the Earth, as well as shedding a bit more light on a new companion of his Roz Solomon. 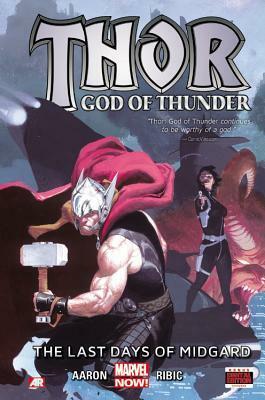 In this volume Thor goes up against the Roxxon corporation, who basically exists to screw up the atmosphere and generally cause problems for everyone they meet. They are up to something and it’s up to Roz and Thor to get to the bottom of it. As Thor causes them problems they begin to retaliate. Of course we still get to see what’s going on with Old Thor as well, and the Earth is even worse shape during that timeline and Thor finds himself up against Galactus. I love that Galactus is obsessed with Earth, the one planet he never gets to eat, so it’s perfect that these two should face off in this final volume. One obsession versus another. This last volume is full of action and some great reflection as the series comes to an end. 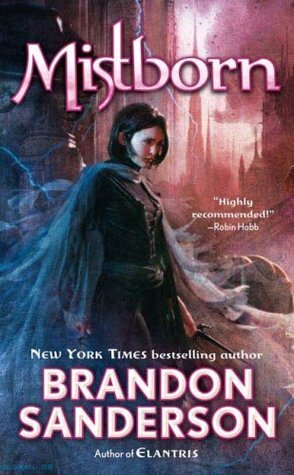 Find this review helpful? Up vote it on Amazon! Image | This entry was posted in Book Reviews (2015) and tagged 4 stars, graphic novel, review, saturday issue. Bookmark the permalink.